Is 2015 the year for mobile wallets and 3D printers? Over 33,000 retail industry executives gathered in New York City earlier this month to discuss this and other retail trends for 2015 at the industry’s biggest conference hosted by the National Retail Federation. 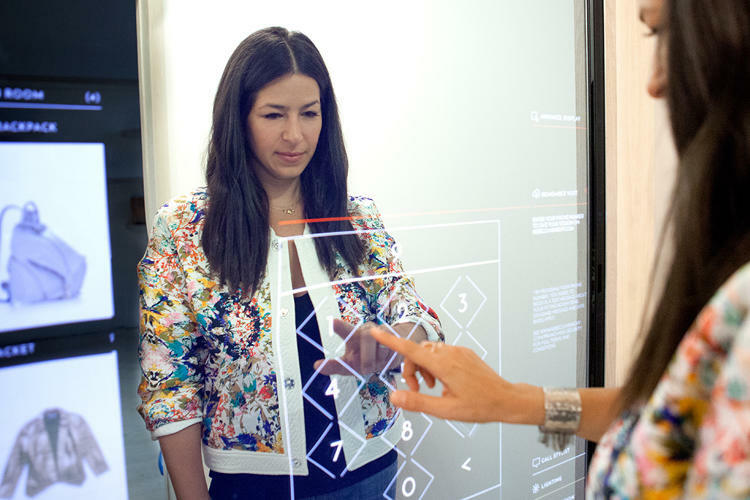 One of the coolest displays at NRF was one showcasing the smart dressing rooms that Rebecca Minkoff launched late last year. The stores actually have brings the power of digital to giant touchscreen walls that allow customers to send items directly to the fitting room. Once in the fitting room the experience continues with another touchscreen where shoppers can ask an associate to bring them another size or color, and even pay for their purchases. This example points to a larger trend: the in-store shopping experience needs to improve in 2015. While online shopping is becoming the norm, brick and mortar stores are not going anywhere and have a big impact on your brand reputation. If customers have a bad in-store experiences - whether it’s long lines, lack of products or simply poor service- they’ll remember. Another key discussion centered around creating loyal customers. As Amazon becomes the dominant player in the industry, it’s increasingly difficult for retailers to attract and retain loyal customers across all channels. One presentation compared brand loyalty to sports fan loyalty. Sports franchises are able to build empires around loyal, passionate fans and create engaging experiences to drive fan interaction. Retailers should consider this same model when it comes to attracting loyal customers. It’s no longer optional for brands to offer connected and personalized experiences, it’s a must. Customers should have seamless shopping experiences across across desktop, tablet and mobile sites, and the marketing content they receive needs to be personalized and engaging. Mobile commerce was huge in 2014, and conversion rates on mobile devices are likely to continue increasing over the next year. Mobile commerce sites are nothing new, but some retailers are taking mobile one step further. Game Stop, a video game store, used a mobile app to improve upon in-store experiences by allowing customers to scan products in-store to get more information, customer reviews and videos of the games in-use. JCPenney also revamped its mobile app and has seen a huge increase in online conversions. The moral of the story here is that for a retailer’s app to be successful, it must serve a greater function than the brand's mobile site. Retail and brand apps shouldn’t just be an additional platform for making purchases. If your mobile site is scalable and easy to use, why would customers use your app too? Mobile apps should go above and beyond and provide more information, content and deals for loyal customers. Were you at the NRF conference this year? Share your thoughts with us below or @WalkerSands.